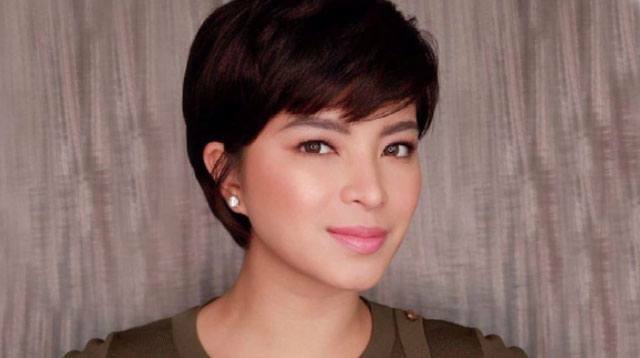 Angel Locsin Now Has 3 Million Followers On Instagram! Headlines, hot news, and conversation starters on May 18, 2017! 1 Congratulations for hitting 3 million followers on Instagram, Angel Locsin! With 15.5 million Facebook fans and nearly 9 million Twitter followers, Angel is definitely not lacking in fan support. She had a small problem with her IG account being falsely reported early this year, but now that little blue verified check is back. 2 The #aroundZworld adventures continue! In his recent IG posts, Dingdong Dantes shared photos of his wife Marian Rivera spending time with her father's side of the family. The Gracias are definitely #blessed with some good genes: Marian's photo with her sisters is ADORABLE. 3 An avid fan of The Little Prince, Kylie Padilla decided to have a maternity shoot centered around the classic. The mom-to-be is definitely excited for her little boy to arrive—she captioned her photo "For my baby prince." You can't miss that red rose emoji! 4 Billy Crawford celebrated his 35th birthday on Tuesday, May 16, and of course, his fiancée Coleen Garcia shared a sweet message on Instagram. "Happy birthday to the one person who completely holds my heart; the one I can't wait to spend the rest of my life with, through all kinds of ups and downs! I could never put into words how much you mean to me and how thankful I am to be yours. I love you." We can't wait for the ~*wedding*~! 5 Luis Manzano and Jessy Mendiola have been enjoying some quality time together at the beach (they recently went scuba diving in Anilao), so couple posts are to be expected. Luis posted a sweet photo of the two cuddled up together by the pool—the actor even seems to be teasing his girlfriend, captioning the post "Hi wuv ko, relaxed?"